Our restorative dental services include a variety of corrective solutions to fix broken teeth, chipped teeth, and tooth loss helping you gain back your beautiful smile. 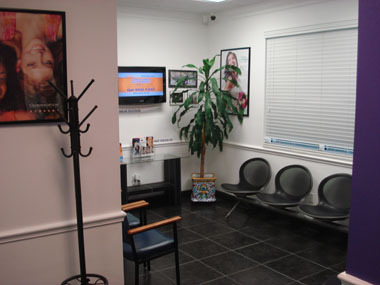 Dr. Espinoza is an expert in restorative dentistry, demonstrating outstanding quality and care. Every patient’s case is individual. Dr. Espinoza will evalutate your personal situation and discuss in detail the best approach to restore your perfect smile. Dental implants are devices used to support dental restorations in a person’s jaw bone. Typically, they are used when teeth are missing due to periodontal disease, injury or some other reason. There are two types of dental implants, Endosteal implants which are placed in the bone and Subperiosteal implants which are placed on the bone. Endosteal implants are the most common type of implant. They can be placed surgically into the jawbone using screws, cylinders or blades. Each implant can hold one or more prosthetic teeth. Implants can be a great alternative to bridges or removable dentures. Dental bridges help fill gaps when one or more teeth are missing. Dental bridges are made up of two or more crowns anchoring teeth on either side of a gap with a false tooth (or teeth) in between. The anchoring teeth can be natural teeth or implants. The false tooth in between can be made from porcelain, alloys, gold or a combination of materials. Bridges can be great option to restore your smile, allow you to properly speak and chew, maintain the shape of your face, and prevent teeth from shifting out of position. Dental crowns are placed over a tooth, entirely covering the tooth, to restore its shape, strength, and size. Dental crowns may be needed to protect a tooth weakened from decay, to restore a broken tooth, to cover a tooth with large fillings when there is little of the natural tooth left, to cover discolored teeth, to cover a dental implant or hold a dental bridge in place. Permanent crowns can be made from porcelain, porcelain-fused-to-metal, stainless steel, all metal (such as gold or another alloy), all resin, or all ceramic. Nothing makes the team at Dr. Espinoza’s office happier than giving you a whole new reason to smile. Whether it is minor imperfection or dental issues which seem insurmountable, we will analyze the state of your teeth and gums, and provide you with a solution tailored to your personal needs. 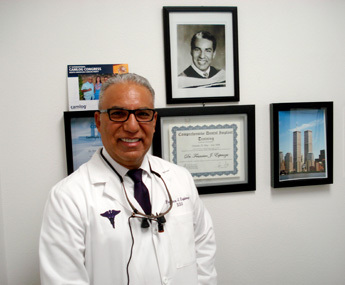 Dr. Espinoza will use his technical skills, years of experience, and artistic abilities to give you a healthy, natural looking, and beautiful smile. Smile makeovers can consist of a variety of cosmetic dental procedures which may include porcelain veneers, crowns, replacing metal or gold fillings, reshaping your gum line, whitening your teeth, or others. Please contact us for your personal consultation and regain self-confidence and a happier outlook on life by restoring your beautiful smile. 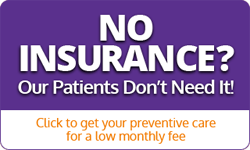 Call Us Today at 941-739-7770 for a FREE Consultation.